Update 30/06/2010 1123hrs The competition is now closed and the winners have been notified by email. We await their reply so that details can be confirmed with them and their prizes can be sent out. Lowa Mountain GTX GORE-TEX® Boot is suitable for the majority of applications, from rough terrain to everyday use. Its clean and easy to maintain looks, along with its waterproof GORE-TEX® qualities, makes it the ideal choice for uniform and non-uniform duties alike. Insulated for cold weather and ventilated for warmer climates, this boot suits all needs. Who was most likely to be the first law enforcement officer to have been saved by body armour? 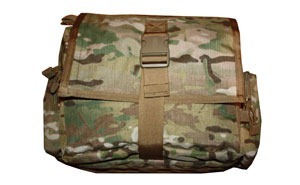 The email must be sent to boot_bag_competition@arniesairsoft.co.uk from your registered forum email address. The subject must be the name of the person quoted on the page listed. The competition closes on 25th June 2010 at midnight GMT. Winners will be announced on Monday 28th June 2010. Winners will be contacted by the email address provided on their submission email. The winners’ forum nickname and first name will be announced on the front news page and on this competition page.